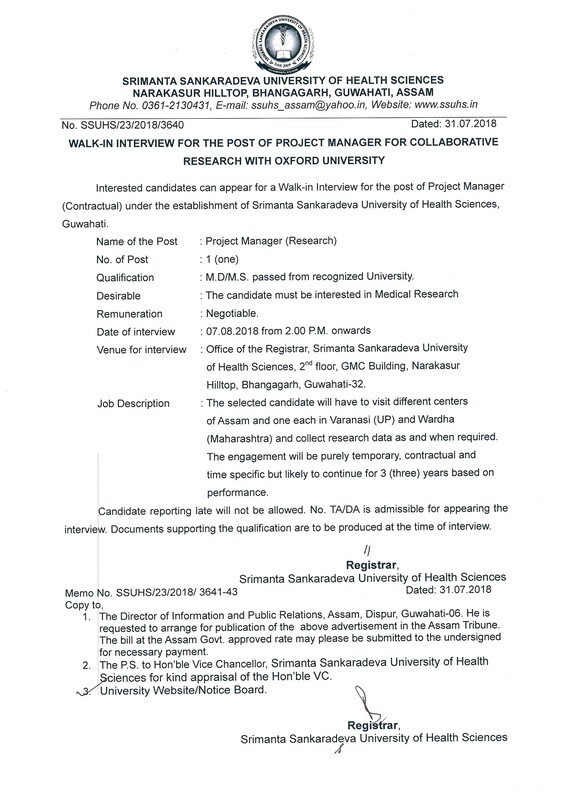 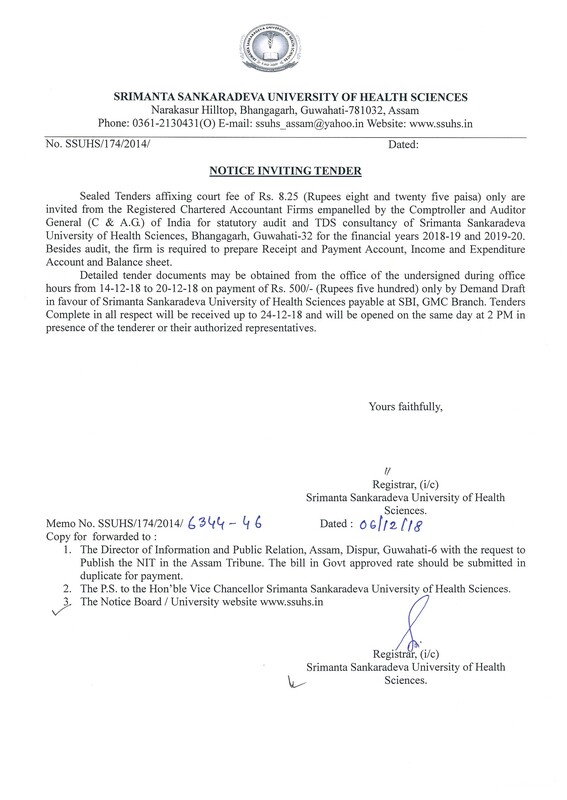 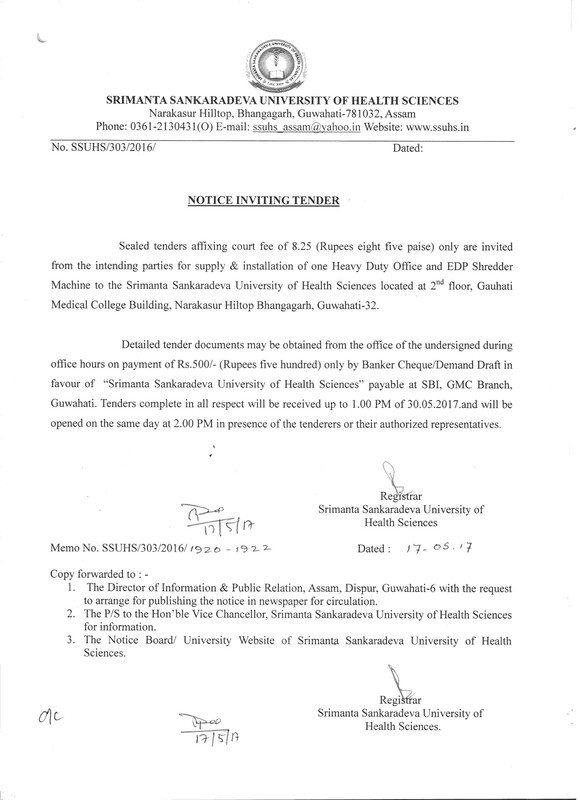 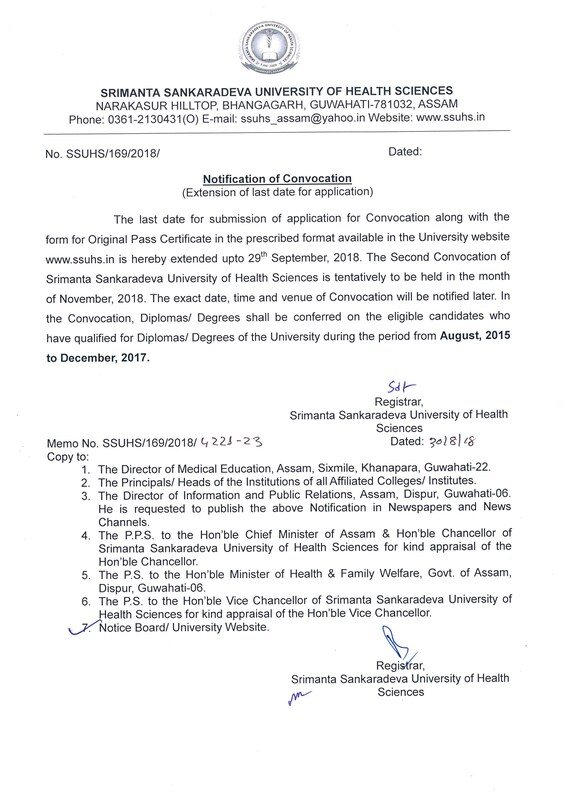 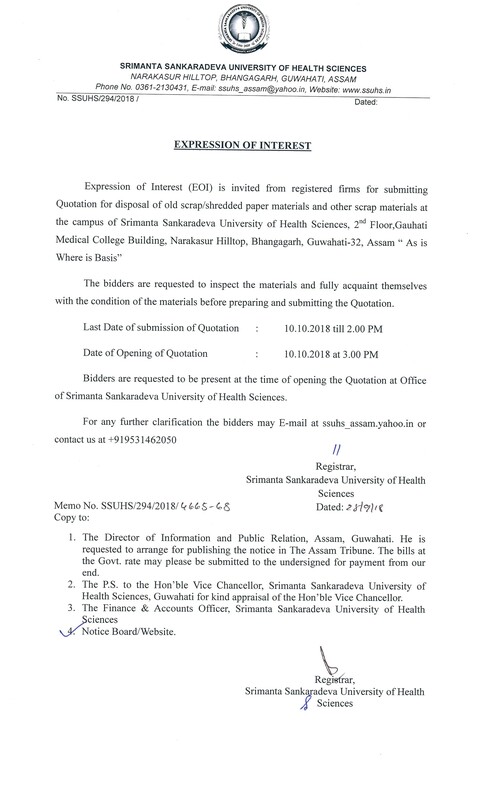 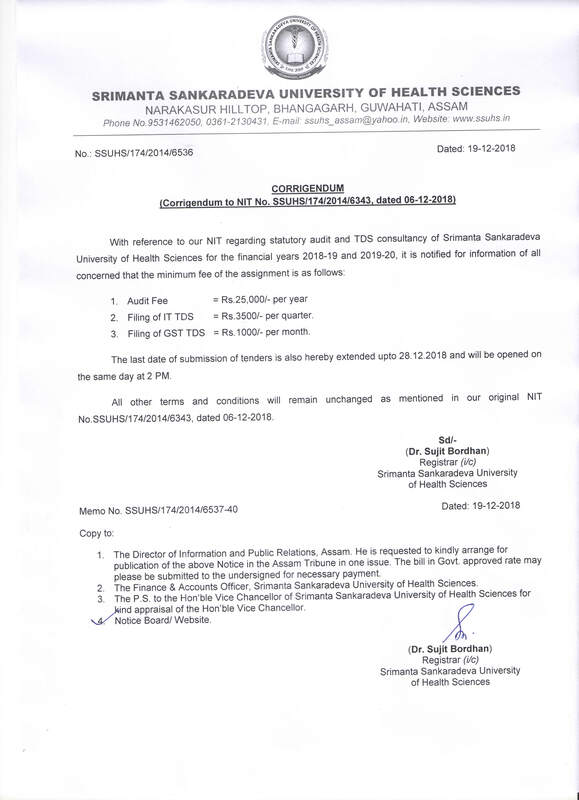 Format of Application for the post of Vice Chancellor of Srimanta Sankaradeva University of Health Sciences, Assam. 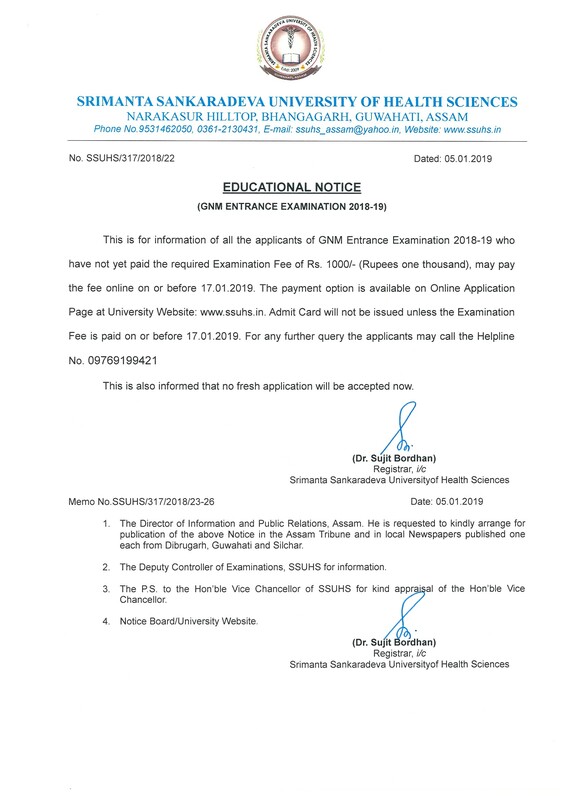 Online Application Form for Common Entrance Examination, 2018 for admission into B.Sc. 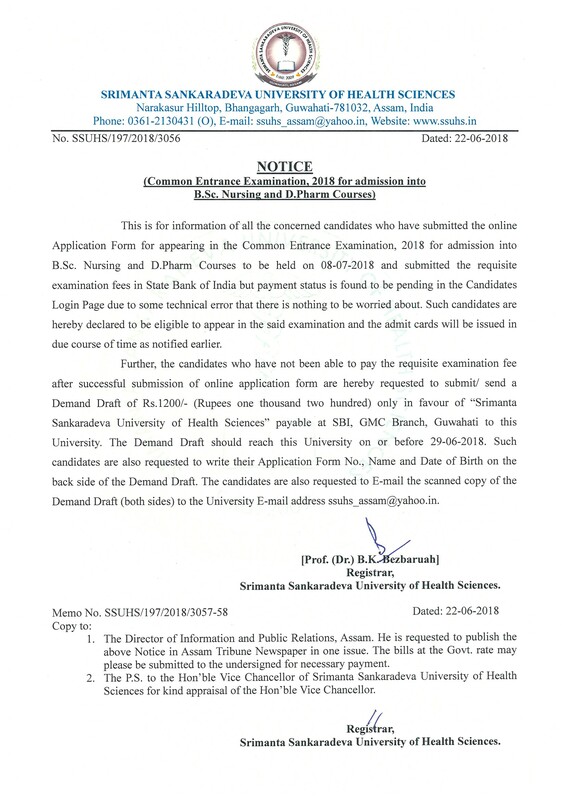 Nursing and D. Pharm Course is going on. 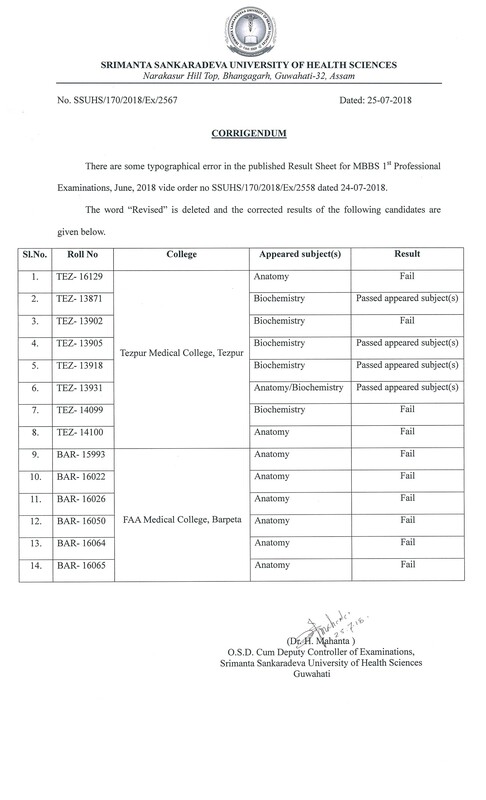 Common Entrance Examination for Admission into B.Sc. 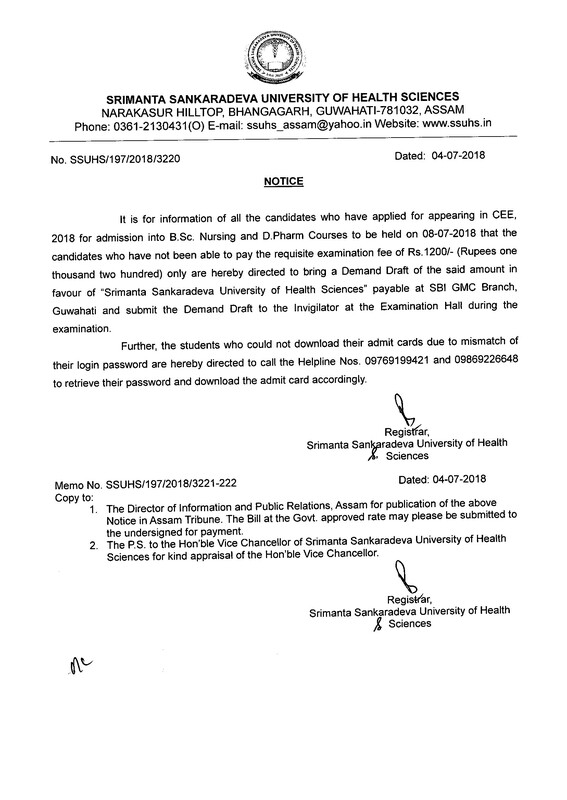 Nursing and Diploma in Pharmacy Courses in the institutes under Directorate of Medical Education, Assam for the session-2018. 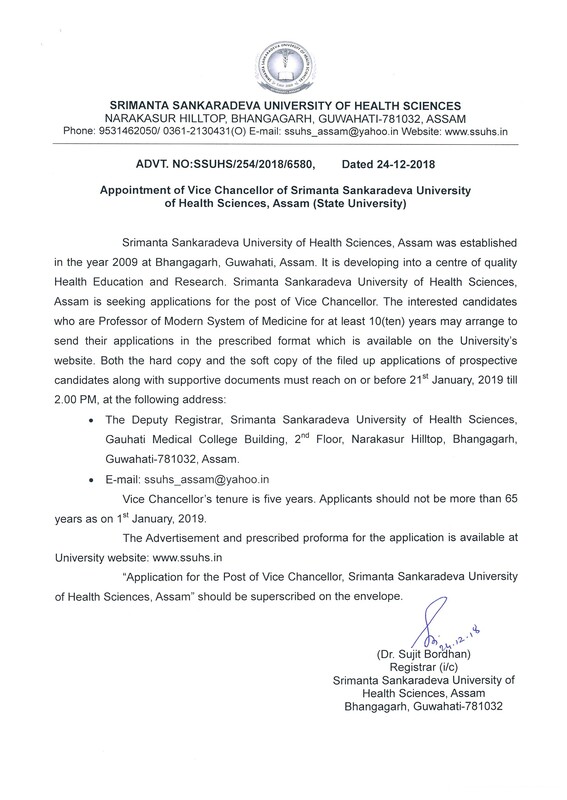 Online Application will be available from 8th to 26th June,2018. 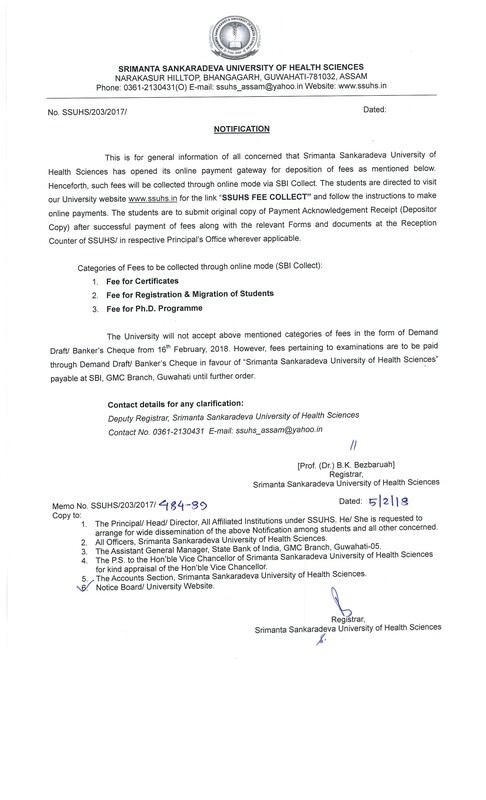 Notification: No.SSUHS/203/2017, dated: 05-02-2018 regarding online payment gateway for deposition of fees.